Founded by Harry N. Abrams in 1949, ABRAMS is the preeminent publisher of high quality art and illustrated books. Now a subsidiary of La Martinière Groupe, ABRAMS is the publisher of bestsellers such as the wildly popular Diary of a Wimpy Kid series by Jeff Kinney, the award-winning cookbooks of Alton Brown, and the stunning photography of Yann Arthus-Bertrand’s Earth from Above. ABRAMS publishes books in the areas of art, photography, cooking, interior design, craft, fashion, sports, pop culture, as well as children’s books and general interest. The company’s imprints include Abrams Books, Abrams Appleseed; Abrams ComicArts, Abrams Image, Abrams Books for Young Readers, Amulet Books, Stewart, Tabori & Chang, SelfMadeHero, and STC Craft/Melanie Falick Books. Black Phoenix Alchemy Lab specializes in formulating intriguing, compelling body and household blends with a dark, romantic, and sexual tone. Our scents run the aesthetic gamut of romance era, Renaissance, Medieval and Victorian formulas, pagan and mythological blends, and horror / Gothic-themed scents. By utilizing our knowledge of homeopathy and aromatherapy, the conceptual theories of hermetic alchemy, and the aesthetic artistry of perfumery, we have mastered the art of encapsulating allegorical ideas into singular olfactory experiences. Inspired by a vast range of influences, from the passion and decadence of the Fin de Siècle movement to the ghastliest of Lovecraftian monstrosities, we specialize in eliciting emotional responses through perfume and creating unique, masterfully molded scent environments that capture legends and folklore, poetry, and the stuff of dreams and nightmares. Founded in 1986 by Mike Richardson, behind the concept of establishing an ideal atmosphere for creative professionals, Dark Horse Comics has grown to become the third-largest comics publisher in the United States and is acclaimed internationally for the quality and diversity of its line. By attracting the top talent in the comics field, Dark Horse continues to change the shape of the industry and grow its brand throughout the world. In conjunction with its sister company Dark Horse Entertainment, Dark Horse has over 350 properties currently represented under the Dark Horse banner, serving as the jumping-off point for comics, books, films, television, electronic games, toys, and collectibles. In 2008, Dark Horse distributes its characters and concepts into more than fifty countries, continuing its mission of content creation and distribution in all of its forms throughout the world. DC Comics is the largest and most diverse English language publisher of comic books in the world. Founded in 1934 as National Allied Publications, the company that would one day become DC Comics virtually created the comic book, publishing the first comic of all original material. Then, in the spring of 1938, the first super hero story appeared in ACTION COMICS #1, introducing SUPERMAN. Other soon-to-be icons would follow, including BATMAN, WONDER WOMAN, GREEN LANTERN, THE FLASH and many others. Today, DC Comics publishes more than 80 titles a month and close to 1000 issues a year. DC has several imprints spanning the gamut of graphic storytelling: The DC Universe is the home of DC’s peerless roster of super heroes; Vertigo caters to a more mature, literary readership; WildStorm offers a bold alternative take on heroic and adventure comics; and Zuda Comics is DC’s innovative digital imprint. DC is also the home of MAD Magazine, the best-known humor magazine in America. DC Comics is a division of Time Warner, the largest entertainment company in the world. Founded in 1999, Discount Comic Book Service is a premier retailer of all comic and comic related items, offering incredible discounts along with amazing customer service. The brick and mortar store is located in Fort Wayne, Indiana and online at www.DCBService.com. In addition, DCBS’ sister sites offer discounted trade paperbacks and hardcovers at www.InStockTrades.com and digital content at www.MyDigitalComics.com. 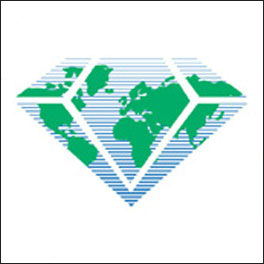 Diamond Comic Distributors was established in 1982 to provide comic book specialty retailers with wholesale, non-returnable comic books and related merchandise. After more than 20 years of service, Diamond has emerged as the world’s largest distributor of English-language comics, graphic novels, and related pop-culture merchandise, with a network of strategically-located Distribution Centers throughout the world. Our Founder and President, Steve Geppi, doesn’t believe in second-place efforts. He knows that Diamond’s success comes from offering retail customers the best — in products, in discounts, and in personalized customer service. That’s why we bring our customers the merchandise they want at a fair price, and deliver it to them quickly, accurately, and reliably. Above all, Diamond treats its customers with one important thing: respect. IDW is an award-winning publisher of comic books, graphic novels and trade paperbacks, based in San Diego, California. Renowned for its diverse catalog of licensed and independent titles, IDW publishes some of the most successful and popular titles in the industry, including: Hasbro’s The TRANSFORMERS, G.I. JOE, and MY LITTLE PONY, Paramount’s Star Trek; HBO’s True Blood; the BBC’s DOCTOR WHO; Nickelodeon’s Teenage Mutant Ninja Turtles; Toho’s Godzilla; Wizards of the Coasts Magic: The Gathering and Dungeons & Dragons; and the Eisner-Award winning Locke & Key series, created by best-selling author Joe Hill and artist Gabriel Rodriguez. IDW is also home to the Library of American Comics imprint, which publishes classic comic reprints, and Yoe! Books, a partnership with Yoe! Studio. IDW’s critically- and fan-acclaimed series are continually moving into new mediums. Currently, Jerry Bruckheimer Films and Disney are creating a feature film based on World War Robot, while Michael Bay‘s Platinum Dunes and Sony are bringing Zombies vs. Robots to film. Lion Forge strives to publish comics for everyone to enjoy, regardless of gender identity, ethnicity, or cultural background. The original graphic novel Andre the Giant: Closer to Heaven was nominated for three Glyph Awards, as well as the Dwayne McDuffie Award for Diversity, and Lighter Than My Shadow was voted the 2017 Graphic Novel of the Year by Amazon. Lion Forge Comics includes the Roar imprint for young adults and the CubHouse imprint for readers twelve and under. It is also home to the Magnetic Collection of premium and critically acclaimed comics and graphic novels, boasting multiple Eisner Award nominees. Across multiple imprints and formats that include licensed properties like DreamWorks Voltron Legendary Defender, original works from top independent creators, and the original and all-inclusive Catalyst Prime superhero universe, Lion Forge publishes something for every level of comic book fan, young and old. Visit www.lionforge.com for more information. Founded in 1997 and helmed by Publisher Joe Nozemack and Editor-In-Chief James Lucas Jones, Portland’s premier indie comic book publisher Oni Press (onipress.com) is home to a rad range of best-selling, award-winning original and licensed comic books and graphic novels, including Scott Pilgrim, The Sixth Gun, Invader Zim, Rick and Morty, Bad Machinery, Wet Moon, Letter 44, The Bunker, Queen & Country, Courtney Crumrin, and more. Comics are a medium everyone can enjoy, and we at Oni Press are dedicated to creating comics for you. Penguin Random House is the world’s largest English language trade publisher, bringing you the best in fiction, nonfiction, and children’s books. Founded in 1992, Rebellion is one of Europe’s leading independent game developers and publishers. Whether it’s the breathtaking intensity of Sniper Elite 3, the face-hugging terror of Aliens vs. Predator or the grindhouse frenzy of Zombie Army Trilogy, the Oxford-based studio is known for creating stand-out games that thrill players. In 2000, Rebellion bought the legendary weekly comic book 2000 AD and became one of the leading publishers of comic books and books with its acquisition of Solaris genre imprint and the establishment of Abaddon Books. In 2016, it acquired the comic book archive of Fleetway/IPC from the 1970s and ‘80s, launching the Treasury of British Comics in 2017. ReedPOP is a boutique group within Reed Exhibitions, which is exclusively devoted to organizing events, launching and acquiring new shows, and partnering with premium brands in the pop culture arena. ReedPOP is dedicated to producing celebrations of popular culture throughout the world that transcend ordinary events by providing unique access and dynamic personal experiences for consumers and fans. The ReedPOP portfolio includes: New York Comic Con (NYCC), Chicago Comic & Entertainment Expo (C2E2), Penny Arcade Expo (PAX) Prime, East and Australia, Star Wars Celebration, and the UFC Fan Expo. In 2013 ReedPOP added Star Wars Celebration Europe and PAX Australia to its rapidly expanding portfolio of international events. The staff at ReedPOP is a fan based group of professionals producing shows for other fans, thus making them uniquely qualified to service those with whom they share a common passion. ReedPOP is focused on bringing its expertise and knowledge to world communities in North America, South America, Europe, and Asia/Pacific (including Australia). Scholastic Corporation (NASDAQ: SCHL) is the world’s largest publisher and distributor of children’s books and a leader in educational technology and children’s media. Scholastic creates quality educational and entertaining materials and products for use in school and at home, including children’s books, magazines, technology-based products, teacher materials, television programming, film, videos and toys. Scholastic distributes its products and services through a variety of channels, including proprietary school-based book clubs and school-based book fairs, retail stores, schools, libraries, television networks and www.scholastic.com. Valiant is a leading character-based entertainment company with a library of over 1,500 characters, including X-O Manowar, Bloodshot, Shadowman, Eternal Warrior, and many more. Established in 1989, Valiant has sold over 80 million comic books, and today its characters continue to be forged in publishing, licensing, film, video games, and beyond. Visit Valiant on Facebook, Twitter, and ValiantUniverse.com. The Will and Ann Eisner Family Foundation fosters innovation and creativity in graphic literature, sequential art and comics. It encourages others to continue and build upon the legacy of Will Eisner, who broke new ground in the development of visual narrative and the language of comics and was the creator of The Spirit, John Law, Lady Luck, Mr. Mystic, Uncle Sam, Blackhawk, Sheena and countless others. For more information about Will Eisner, visit www.willeisner.com.